Seven years. That doesn’t seem like much time in the grand scheme of things but its all the time needed for E.J. Sarmento and Wyred 4 Sound to go from their very first product, the 200s amplifier, to becoming a highly respected audio manufacturer with a full stable of premium audio components. E.J. Sarmento assembled a small team of friends and colleagues and together they have made a serious impact on the audio world, continuously garnering many coveted awards in the competitive audio market. The accolades just keep coming. The Absolute Sound Editor’s Choice Award has been presented to Wyred 4 Sound for five straight years. That is impressive for any audio manufacturer, let alone one whose doors opened a mere seven years ago. The latest Wyred 4 Sound product to capture my attention is their unique Remedy reclocker. It is a highly advanced digital reclocking device that has been designed to remove digital errors and drastically improve jitter performance. The genesis of Remedy was the Wyred 4 Sound Sonos Connect modification pioneered by them. The Remedy utilizes an incredible Femto-grade clock. According to W4S, you simply pair the Remedy with the DAC of your choice and bingo, your favorite digital source is immediately transformed into a truly audiophile-worthy component. That’s a big claim so let us find out. My review sample Wyred 4 Sound Remedy arrived neatly packed in a small foam lined box with its included external wall wart power supply. The Remedy is a tiny thing, measuring approximate 4” x 3” x 1”. The case appears to be cast aluminum with a top side cutout for a back-lighted Wired 4 Sound logo. The logo illuminates in a nice blue color when the Remedy is switched to an active digital signal on one of its inputs. Installation is a snap. You insert the Remedy between your digital source and your DAC, connecting the digital input with either coaxial cable or Toslink fiber optic cable. Output connections are the same plus an additional BNC output connector. 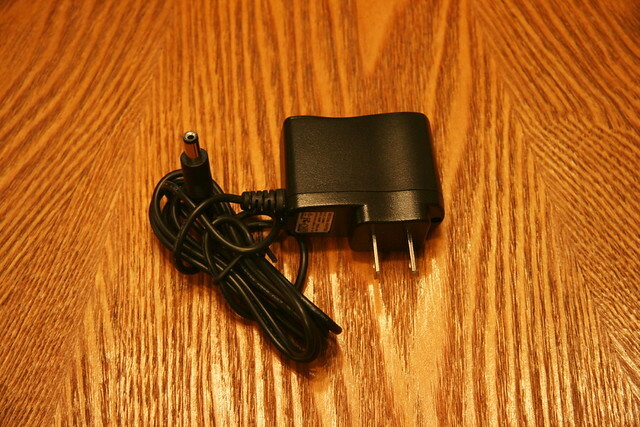 The only other connection is the 9 volt DC connector for the external power supply. The Remedy has two switches, one for power and the other selects between the coaxial or optical inputs. 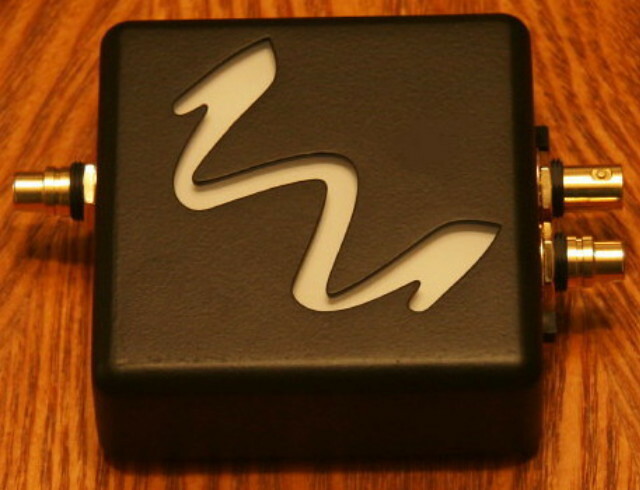 Most audio enthusiasts will not need a manual to connect the Remedy into their digital signal path but the User Guide is available online for those interested. My initial audition of the Remedy began in the studio system (McIntosh C1000C/P, MC2301’s, Esoteric K-03, Olive 04HD, Sonos Connect, Sonus faber Amati Anniversario speakers, and PurePower 2000 AC regenerator/power conditioner). The Remedy was installed between my Sonos Connect and the Esoteric K-03 optical input using Wireworld Supernova 6 glass fiber Toslink cables. My coaxial input on the K-03 is used by the Olive 04HD music server and I specifically wanted to hear how the Remedy impacted the Sonos Connect sound so I began with fiber connections. It just so happened that the day I received the Wyred 4 Sound Remedy for review was the same day I subscribed to Deezer, the new 44.1 kHz online streaming music service. I enjoyed a few hours of improved CD quality streaming before installing the Remedy and I am impressed with Deezer's sound quality over the typical MP3 fare. It took me less than five minutes to make the digital optical connections to the Remedy and get it energized. Since I was already basking in the glow of Deezer’s CD quality streaming I honestly wasn’t expecting to hear much if any additional improvement in sound quality. Boy, was I wrong. It did not take 30 seconds for me to realize that the noise floor grew darker and the sound stage became more focused. To be sure I wasn’t under the influence of a placebo effect I quickly plugged the fiber optic cable to the DAC back into the Sonos and replayed Eva Cassidy – Need Your Love So Bad, a duet with Chuck Brown. The Sound stage shrank to some degree and the sensation of complete silence in the background was reduced. In other words, what I had previously thought was great sound before experiencing the Remedy reclocker was now only good sound. Inserting the Remedy back into the digital stream immediately returned the new found goodness. I discovered piano notes and chords to be more striking and vibrant. Horns were brassier through the Remedy. Voices settled into position on the sound stage with a stronger sense of dimension and location while expressing a more believable human intonation. The difference the Remedy brings to the Sonos Connect is impressive. I selected Eva Cassidy – Songbird from Deezer’s catalog and continued listening to the Sonos Connect through the Remedy. It left little doubt that the reclocker was working some sophisticated magic on the sound. Eva’s voice floated in the center of the soundstage. The acoustic guitars and the acoustic guitar solo were crisp, airy, with just the right ring and decay without any hint of edginess. I was actually having difficulty accepting the fact that I was listening to Internet streaming. This was fabulous sounding audio….and from the Internet. These are exciting times indeed. It is interesting to note that the Wyred 4 Sound Remedy reclocks to 96 kHz. When I had my Sonos Connect streaming from Deezer without the Remedy the Esoteric K-03 displayed 44.1 kHz. With the Remedy in the digital signal path the K-03 displayed 96 kHz both with fiber and with coaxial cables. One thing the Remedy does that I am not fond of is it down samples 192 kHz to 96 kHz. I discovered this when I began testing the Remedy between the Olive 04HD music server and the Esoteric K-03. I played Louise Rogers – Skylark from the 24 Bit/192 kHz HDTracks download of Black Coffee. The Olive 04HD was connected with Wireworld Silver Starlight coaxial cable to the Remedy and the Esoteric K-03. The Esoteric display showed 96 kHz. Interestingly enough, this 192 kHz recording sounded inferior through the Remedy versus the 04HD direct to the K-03 DAC. Louise Rogers voice sounded slightly less resolved and lifelike by comparison and the same was true of the acoustic guitar in the left channel and brushes on a drum in the right channel. There was a tiny yet noticeable absence of immediacy when the Remedy down sampled 192 kHz to 96 kHz. This was a small disappointment although not a serious issue or a deal breaker since the majority of my high resolution downloads are 96 kHz. Playing high resolution downloads recorded at 96 kHz from the Olive 04HD through the Remedy sounded excellent. Surprisingly though, I did not hear the same level of sonic improvement as when the Remedy was in the digital signal path of the Sonos Connect. It may be that the digital signal from the Olive 04HD server to the K-03 DAC is sufficiently clean with respect to low jitter that the impact of the Remedy reclocker was less noticable. Playing the 96 kHz HDTracks download of Lee Ritenour – L.A. By Bike from the Rhythm Session recording I found little if any difference in the opening splash of cymbals or the manner in which the cymbal’s metallic sounds rang and decayed. I can say the same for the sound of the deep bass and Lee’s amazing guitar work. During both instances, the 04HD direct to the K-03 DAC or the 04HD to Remedy to the K-03 DAC, my ears told me it was a tossup. Both methods of digital playback produced essentially a mirror performance that was remarkably clean and detailed. I moved the Wyred 4 Sound Remedy from the studio system to the living room system (McIntosh C2300, MC601’s, MS750, Esoteric K-03, Olive 04HD, Sonos Connect, PMC EB1i speakers, PS Audio Power Plant Premier AC regenerators). Since I already auditioned the Remedy with the Olive 04HD and the Sonos Connect, this audition was done using the McIntosh MS750 connected to the Esoteric K-03. The McIntosh MS750 only outputs a 44.1 kHz digital signal, just like the stock Sonos Connect. I played Liz Story – Captain April from 17 Seconds To Anywhere on the MS750 to the K-03 DAC per its usual signal path. I love solo piano and Liz Story plays the instrument exquisitely. Solo piano is especially useful for auditioning new components because of its wide dynamic range, sustained decay, and broad frequency range. After the first track played I installed the Remedy in the MS750 signal path using Wireworld Supernova glass fiber Toslink cables. I have the same scenario in the living room system as I do in the studio system. 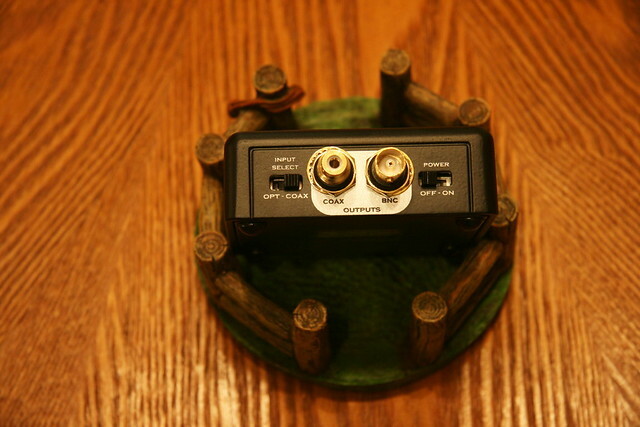 The K-03 only has three digital inputs, one coaxial, one optical, and one USB. The K-03 could have easily used two coaxial and two optical inputs plus the USB input but Esoteric chose to use only three. Once the Remedy was installed between the MS750 and the K-03 I played the same Liz Story solo piano track again. I was instantly impressed when the first piano notes emanated from the PMC EB1i speakers. The resolution and clarity of the piano notes were elevated to a new level. There was the same sensation of a lower noise floor that I experienced in the studio system with the Sonos Connect. The blacker background made piano notes sound more elevated and alive while sustained and decaying notes seemed to linger longer before disappearing into silence. Removing the Remedy from the MS750 signal path caused me to realize the MS750 obviously has a jitter problem that impacts the purity of the digital output going to the K-03 DAC. I was not aware of how much detail and resolution I was missing from this music server prior to experiencing what the Remedy does for the MS750’s sound. It is quite remarkable how the Remedy reclocker raises the performance bar for digital components that can benefit from Remedy’s Femto-grade clock and up-sampling to 96 kHz. It is exciting to hear the improvement. At a retail price of $399.00 the Wyred 4 Sound Remedy reclocker represents a reasonably inexpensive path for upgrading the sonic performance on many digital components. I was expecting less impact for some reason, I guess because I thought of the Remedy as a digital gadget rather than a bona fide audiophile level device. I am pleasantly surprised to have my blinders removed. The sonic upgrade this reclocker delivers with the Sonos Connect and the McIntosh MS750 is clearly audible and of sufficient sonic integrity to merit inclusion into my systems. The Remedy represents a good ratio of performance to value. Not only do I plan to purchase the review sample but I will most likely order a second Wyred 4 Sound Remedy. Oh, and don’t forget about that 5 year warranty. Try one. I think you will be impressed. The Wyred 4 Sound Remedy is the real deal. Last edited by jdandy; 01-17-2018 at 09:44 PM. Yet another well done review Dan. Let me be the first to thank you. I haven't yet connected both of my REMEDY's up and only have one via coax from my Marantz SA8004 to my D100 DAC. There is an improvement in noise floor for sure although I haven't heard significant improvements with staging, decay or dynamics. I plan to move this Remedy from the SA8004 to a cheap (embarrassed to say, $85) Pioneer Blue Ray I have upstairs in the theater and hope it will greatly improve the sound of the CDs I play there from time to time. Do you have any opinions on using the Toslink versus Coax outputs of the Sonos Connect? Craig.......My experience comparing the Wireworld Supernove glass fiber optic cables to the Wireworld Silver Starlight coaxial cables left me with the faint notion that the coaxial connection might be ahead by a nose. Both cable types deliver a stunning performance but if my Esoteric K-03 allowed for multiple coaxial inputs I would most likely use the WW Silver Starlight with the Remedy. To be perfectly clear, the WW Supernova glass fiber Toslink cable sounds excellent, as well. Due to my digital input restrictions on the K-03 this is the way I will employ the Remedy in the systems. Last edited by jdandy; 08-01-2016 at 03:25 PM. Dan... 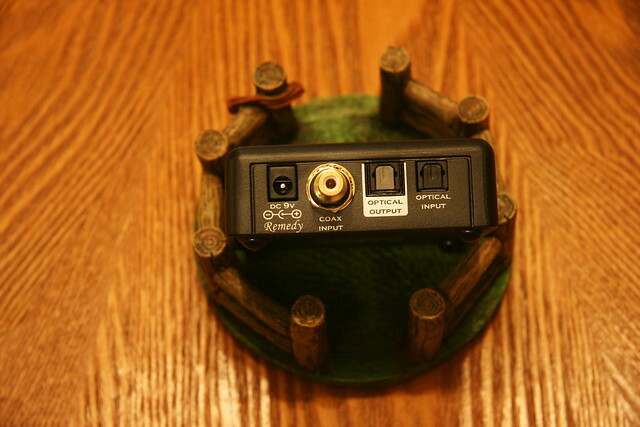 Thanks for the excellent review of the Wyred 4 Sound Remedy reclocker. As alway, it was a pleasure to read your impressions. Did you have a chance to try it with your MR88? The MR88 has become my source of choice lately for late night FM HD jazz and classical programming. For the price, the Remedy seems like a no-brainer for streaming and tuners. Terry.......I have not tried the Remedy with the MR88 tuner yet. Due to the lack of multiple coaxial and optical inputs on my K-03, the MR88 tuner is fed to the C1000C/P preamplifier with balanced Wireworld Silver Eclipse interconnects. I will give the fiber optic output on the MR88 an audition with the Remedy and report my impressions in this thread soon. Craig.......My experience comparing the the Wireworld Supernove glass fiber optic cables to the Wireworld Silver Starlight coaxial cables left me with the faint notion that the coaxial connection might be ahead by a nose. 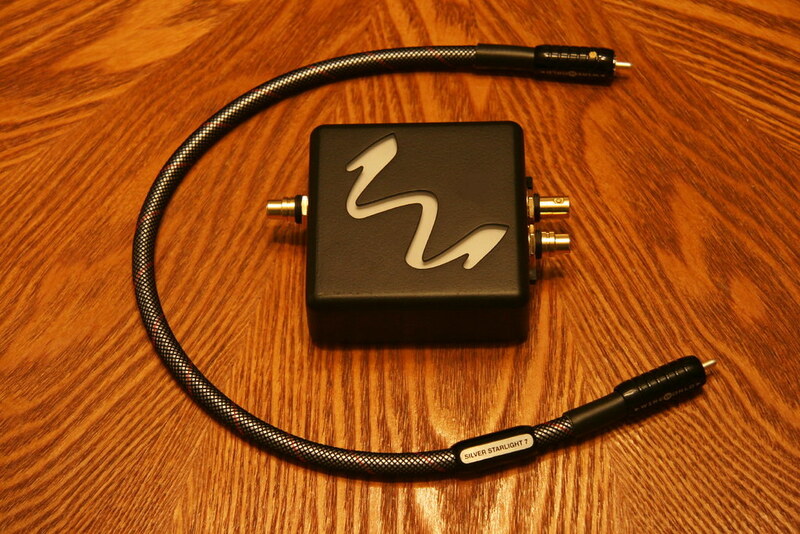 Both cable types deliver a sunning performance but if my Esoteric K-03 allowed for multiple coaxial inputs I would most likely use the WW Silver Starlight with the Remedy. To be perfectly clear, the WW Supernova glass fiber Toslink cable sounds excellent, as well. Due to my digital input restrictions on the K-03 this is the way I will employ the Remedy in the systems. Thanks Dan. Have to think a little before reaching out to Ivan. Dan….Thanks again for your eloquent way of describing what many of us can hear. I too was remarkably surprised by the Remedy with the Sonos and the MS750. I have several of them now and will probably add more. It seems there is much more jitter out there than I had realized. Dan... Your review is truly outstanding as always. I'm very pleased to know that you too experienced the same immediate improvement that I did. Larry.......I have to agree with you. I am quite surprised how much more detailed both the Sonos and the MS750 reproduction is with the addition of the W4S Remedy. It's as though there is a lifting of the proverbial veil. Jitter is often defined as the undesired deviation from an ideal periodic timing signal and may be observed in characteristics such as the frequency, phase, or amplitude of successive pulses. The digital pulses we rely on to rebuild our analog music signals happen in the millionth of a second time frame. Obviously any deviation from a stable time reference will have negative impact on the sound and any reduction of jitter will improve digital music reproduction. Fortunate for all of us, the W4S Remedy reclocker addresses jitter in a positive way that improves the music we enjoy. Its reasonable cost makes it attractive and within reach for most audio enthusiasts. Last edited by jdandy; 09-26-2014 at 03:49 PM. Ivan.......Thank you. I was inclined to ignore the Wyred 4 Sound Remedy. It just seemed like something I probably did not need. I am happy the opportunity came up to review this product because it opened my eyes and ears. The Remedy makes a genuinely positive contribution to digital jitter reduction.